Simple, easy and stunning - they are the buzzwords for tonight's dinner. 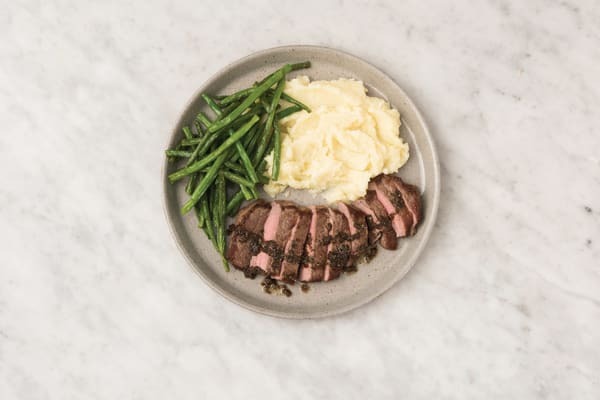 Tender beef gets a rich rosemary sauce, while classic mash gets a nutritious and tasty upgrade with cauliflower plus Parmesan cheese. One taste of this special meal and you'll be buzzing too! Bring a medium saucepan of salted water to the boil. Peel the potato and cut into 1cm chunks. Chop the cauliflower into 1cm florets. Pick and finely chop the rosemary leaves. Finely chop the garlic (or use a garlic press). Trim the green beans. Slice the lemon in half. Grate the Parmesan cheese. Add the potato and cauliflower to the pan of boiling water and cook for 15 minutes or until soft when pierced with a knife. Drain very well and return to the saucepan. Add the salt and 1/2 the butter to the potato and cauliflower. 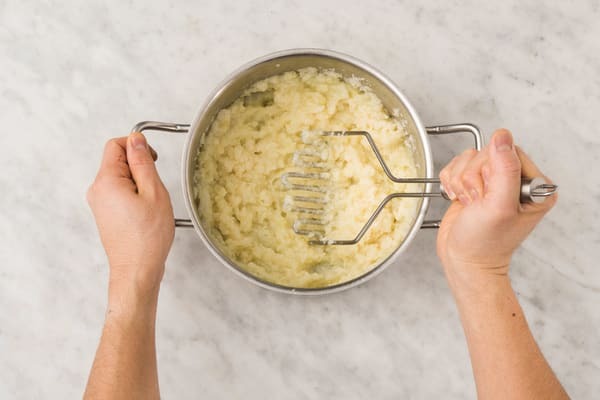 Mash with a potato masher or fork until as smooth as possible. Stir through the grated Parmesan cheese and cover with a lid to keep warm. 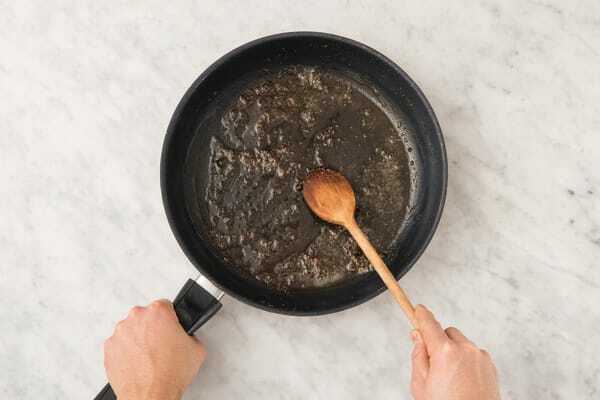 While the potato and cauliflower are cooking, heat a drizzle of olive oil in a medium frying pan over a medium-high heat. 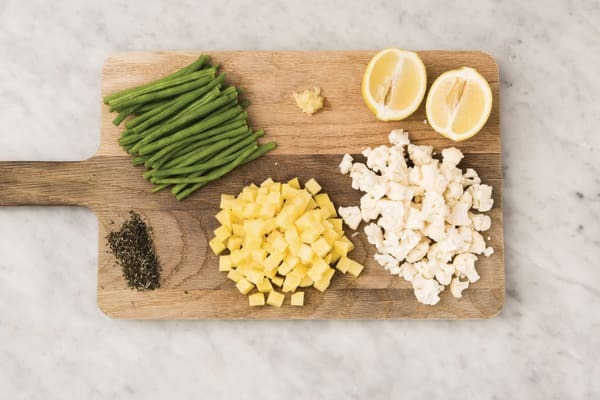 Add the green beans and a dash of water and cook, tossing, for 3-4 minutes or until just tender. Season with salt and pepper and transfer to a plate. Cover to keep warm. Return the frying pan to a high heat. 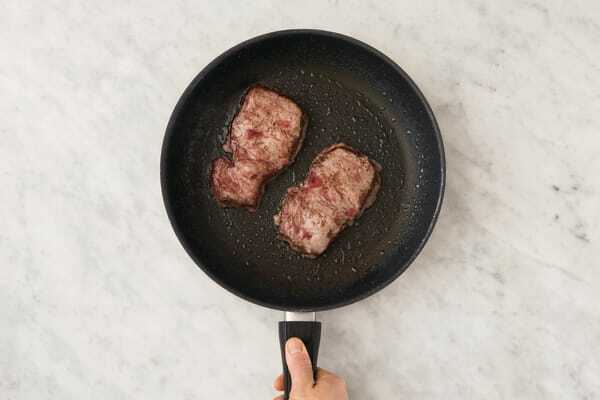 Drizzle the beef rump steaks with olive oil and season with a pinch of salt and pepper. Add the beef rump to the pan and cook for 2-3 minutes on each side (depending on thickness), or until cooked to your liking. Transfer to a plate and rest for 5 minutes. TIP: This will give you a medium steak but cook for a little less if you like it rare, or a little longer for well done. Return the pan to a medium heat with the remaining butter and the garlic and rosemary. Heat for 1 minute or until the butter has lightly browned and the rosemary is fragrant. TIP: Watch to make sure the butter doesn't burn. Add the resting juices from the steak and a squeeze of lemon juice. Stir to combine and cook for 1 minute or until thickened. Remove the pan from the heat. TIP: Seasoning is key in this sauce, so taste and add a pinch of salt, pepper or another squeeze of lemon juice if you like. Thickly slice the steak. 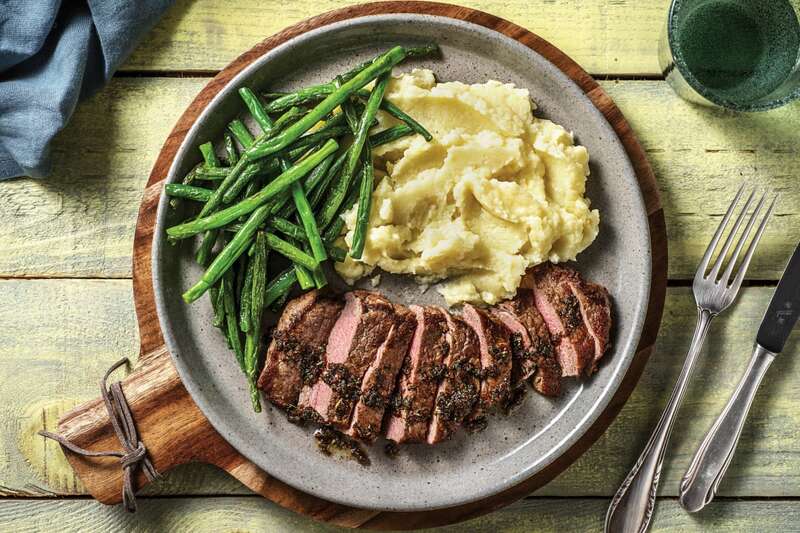 Divide the steak, cauliflower-Parmesan mash and green beans between plates. Spoon over the rosemary garlic butter sauce to serve.